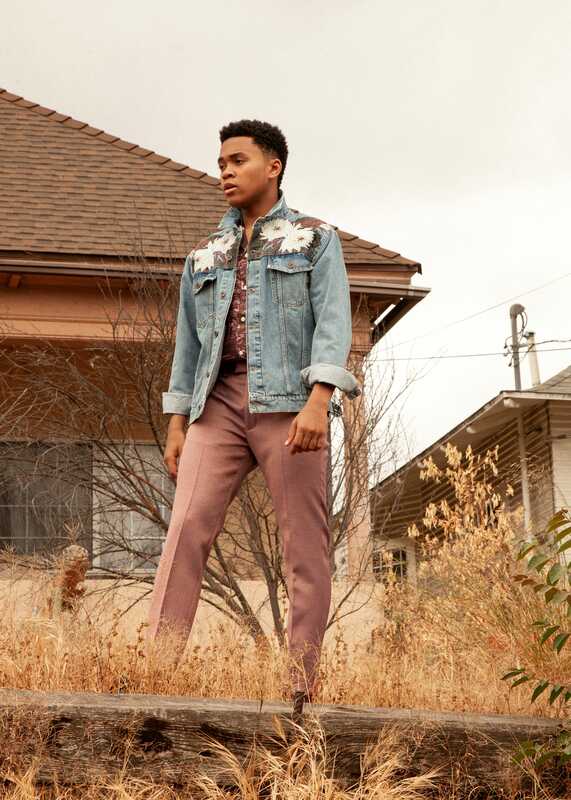 From one dark world imagined by Stephen King to another – CHOSEN JACOBS will be hitting your screens in ‘Castle Rock’ – a psychological horror television series based on the stories of Stephen King, intertwining characters and themes in one mysterious town. The show also stars Bill Skarsgård, Jane Levy, Sissy Spacek and is produced by J.J. Abrams. 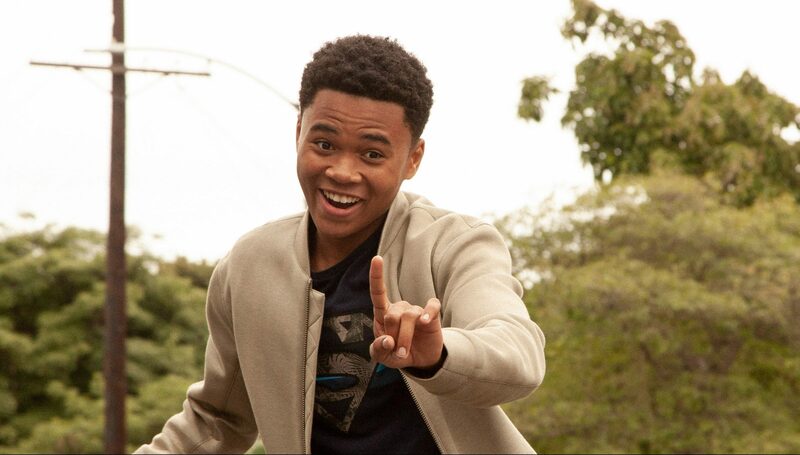 Chosen is best known for being part of the Losers gang as Mike Hanlon in last years spine-chiller blockbuster ‘IT’ – based on the novel by Stephen King. Chosen is currently filming ‘IT: Chapter Two’ which will hit cinemas next summer. Alongside this, Chosen has a recurring role in ‘Hawaii Five-0’ which he has been appearing in since 2016. Everyone recognizes you from your leading role in ‘IT’ last year – how have you found dealing with fame that has since come with it? Honestly, it hasn’t fully registered with me yet. When I go home or hang out with my friends, I’m just Chosen! I’m washing dishes, folding clothes, and taking out the garbage just like everyone else. It does take some getting used to having people run up to you for a picture or an autograph, but I try my best to lead a pretty normal life. I have a really great support system that keeps my grounded! Are you friends with any of the cast of ‘IT’ in real life? Most definitely! They are like family to me. We were able to do something truly extraordinary together; that really bonds you for life! We FaceTime, text, and everything in-between. Heck, I probably know them too well lol. We live in different cities but we always find time to hang out and just be kids. This is now the second Stephen King novel adaptation you’ve starred in. I’m guessing you’ve met him right? What was that like? Actually, I have not had the pleasure of meeting the King himself. I hope to cross paths with him one day, I’m looking forward meeting him in the future. Mr. King has created an absolutely beautiful and horrifying world, and I am grateful to be apart of it! How are you finding your time in Los Angeles as an Atlanta native? I love LA because of its energy and inspirational vibe. It’s the place where you can make your dreams can come true! The weather is amazing and who doesn’t love the option of going to the beach or taking a drive to the mountains! What can you tell us about your role in ‘Castle Rock’? I can’t give you too much detail about my role on the show at this point in time because of confidentiality. But I believe that the people will be able to feel the spirit of Stephen King when watching “Castle Rock” and appreciate the interpretations that J.J Abrams, Sam Shay, and Dustin Thomason incorporated in this mystical thriller. Awesome project to be apart of! I play the role of Wendell Deaver, who is the son of Henry Deaver that is played by Andre Holland. It’s an honor to work alongside Mr. Holland and other cast such as Sissy Spacek, Melanie Lynskey, Scott Glenn, and of course; it’s always an honor and pleasure to work with Bill Skarsgård. I am excited for everyone to meet Wendell Deaver; he’s a very different character all together! I’m extremely excited about it! Is there one thing that you’re particularly excited about for the future? Of course, I’m excited about the release of IT 2, Castle Rock, and who wouldn’t love to travel to Hawaii and work with the cast and crew of Hawaii 5-0. I am so blessed to have the opportunity to work on projects that are close to my heart and the people that I have met have become dear friends to me. Also, I will be releasing some new music this summer and fall. I can’t wait for the world to hear and feel my soul through my music. What’s one your music playlist at the moment? My playlist is a mix of Sting, Hans Zimmer, Bruno Mars, and Fred Astaire right now. I love every genre of music. Especially as a musician, I feel that it is important to expose yourself to every form of music because there is beauty in all of them!